Every child is unique and different. Although many of the stages they go through in their early years are similar to other kids, there’s no reason to compare, especially when it comes to speech development. As soon as your baby is born, they begin the process of learning to talk. As you speak to your child, you are helping them develop this skill by your example. They learn by experiencing how voices sound and imitating these noises. The process continues until they are a toddler and begin putting words together to express what they need or want. From birth, children begin learning at an amazing rate. It may not seem like it, but even during their earliest months, the foundation is being laid for your baby to become a verbal communicator. Keep in mind that all children are different. They all learn to talk at different rates, and parents shouldn’t be fearful or compare their child to others as their speech develops. From birth to about six months old, your baby will be listening and learning. Although they may play with sounds by cooing and gurgling, this is probably as close to any verbal communication you can expect at this stage. However, as they listen to you and those you speak with, they are learning how to become a talker. From six to nine months old, your baby will probably start playing with sounds and even basic works like “da-da.” They will also be able to differentiate tones and react, such as smiling at a happy voice or crying when someone sounds angry. From nine months to a year, they will begin to understand basic phrases and words. They will also use non-verbal communication to express what they want, such as lifting their arms to be picked up or waving bye-bye. From 12 to 18 months, your child will begin to express what they want verbally. This is the baby-talk phase, where they may come up with sounds to represent an object, like ba-ba for bottle or na-na for banana. They will also understand you more and more. You’ll be able to ask them simple questions and receive a reply, such as asking for a toy and them handing it to you. They will also learn to express more complex ideas through non-verbal communication, such as guiding you to the kitchen cupboard to show they want a snack. From 18 months to three years, your child’s vocabulary will grow by leaps and bounds. You’ll be shocked to remember the baby talk of bygone days as they begin expressing themselves in full sentences. The more you talk to your toddler, the more they learn. So talk often. Look interested when they try to talk to you, so they develop confidence. Whenever they communicate clearly, give feedback to affirm that you understood. Ask questions about where something is, and have your child help you find it. When you talk to your toddler, say their name first and establish eye contact. Give your child opportunities to talk to you by asking questions, and be patient as you wait for their response. Look for occasions to introduce new words, such during as outings to the grocery store. Repeat back what you think your toddler said, even if you’re not sure. Simplify your speech but emphasize key words. Give your child quiet time where they can babble and talk and hear their own voice without background noise. At FishCreek Kids Academy, we have programs for children as young as six weeks old. We understand how vitally important it is for babies and toddlers to begin developing speech. 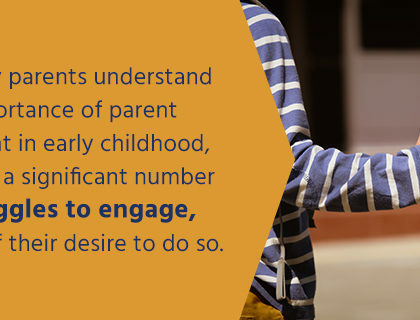 That’s why we work with parents to give your child these key skills for success. To learn more about our early learning programs, contact us today.